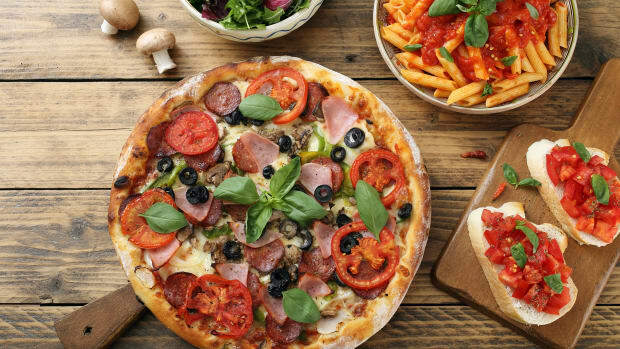 Wings and pizza are game day foods of the past. 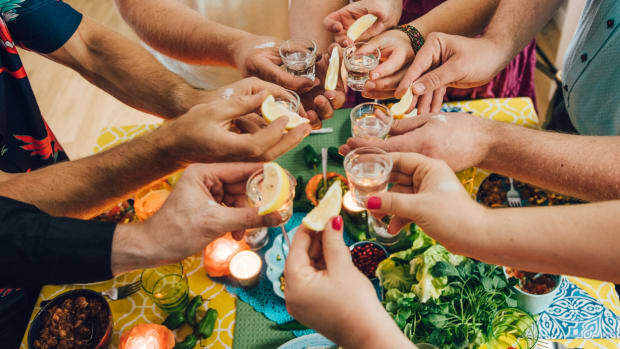 Wings, sliders, and delivery pizza have long been the go-tos of game day festivities, but there&apos;s no reason your love of healthful, delicious food needs to get sidelined on the big day. 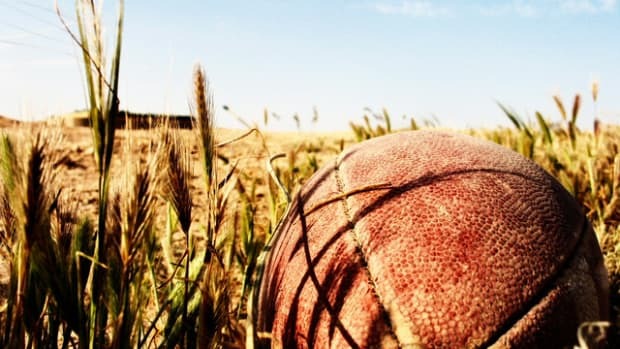 Inventive plant-based and low-carb recipes designed to feed a crowd are the perfect way to satisfy cravings and impress your guests during the big game. Chicken wings aren&apos;t the only things that taste 100 times better with Buffalo sauce. 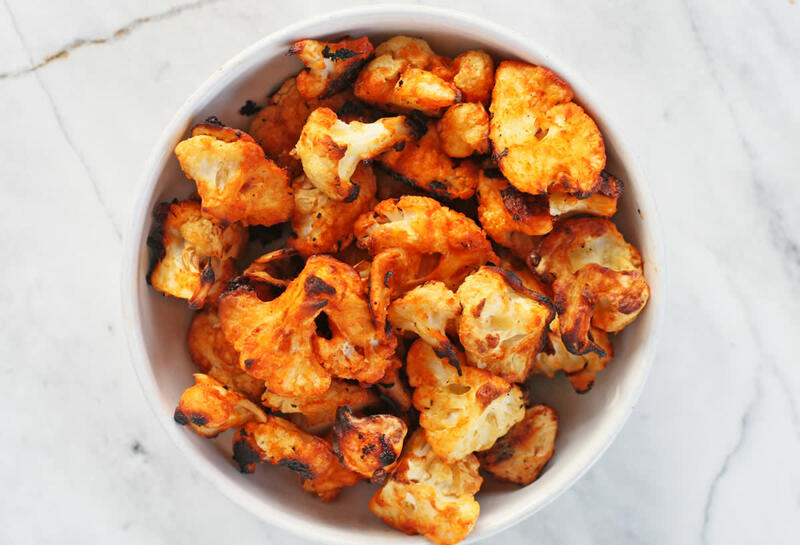 These cauliflower florets get seasoned with tons of spices before being roasted in a very hot oven to get crispy and caramelized. Toss with your favorite Buffalo sauce, and a low-carb, vegetarian-friendly version of this game day classic is ready. 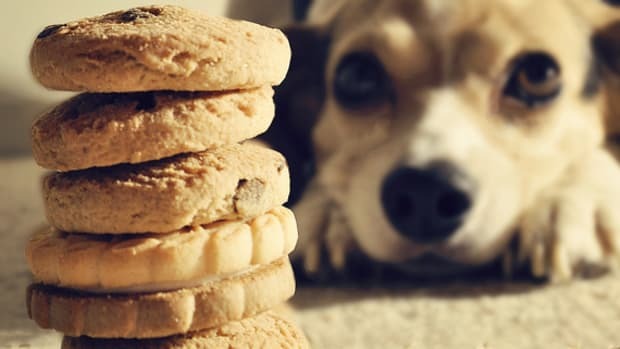 Forget those frozen mini pizzas loaded with artificial ingredients. 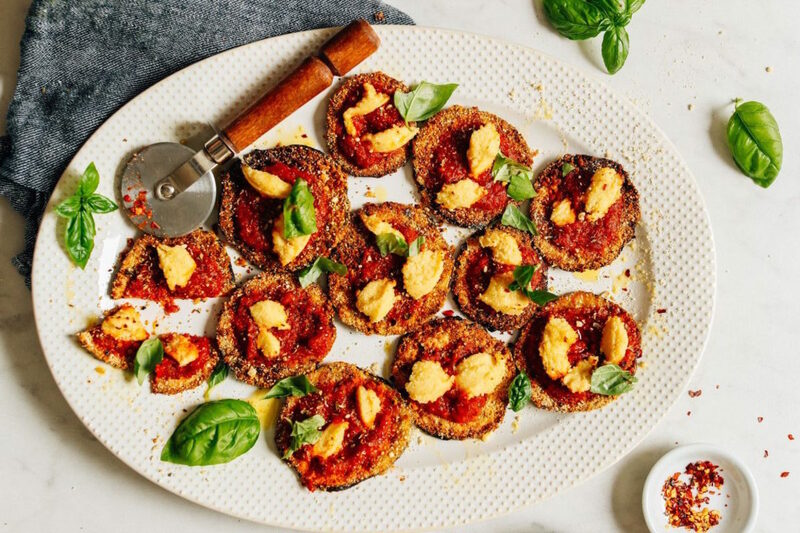 This plant-based, gluten-free pizza bite recipe loads a fried eggplant base with all-natural toppings like homemade marinara, vegan Parmesan, and vegan ricotta. Instead of more traditional sliders, why not serve up these creative, colorful chicken meatball wraps? Infused with Thai basil, lime, cilantro, and garlic, the meatballs are tender and juicy. 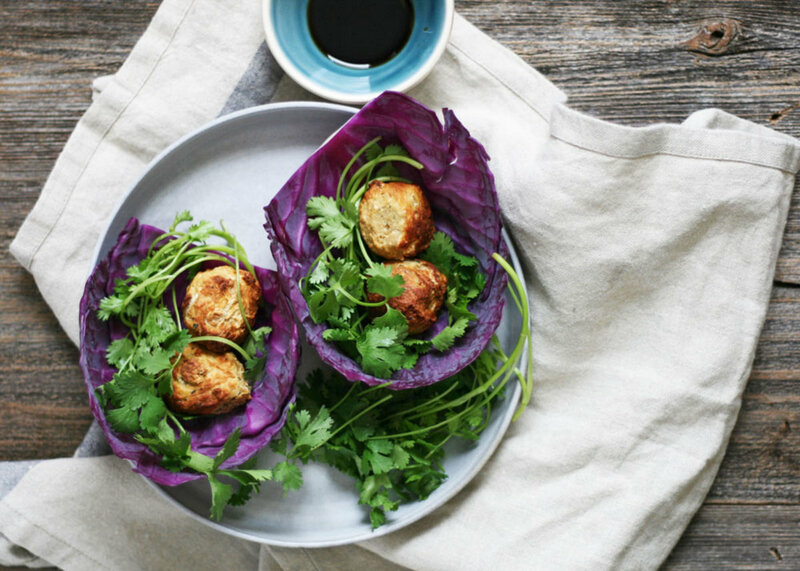 Wrap them in bright purple cabbage leaves and serve with a homemade Thai dipping sauce. 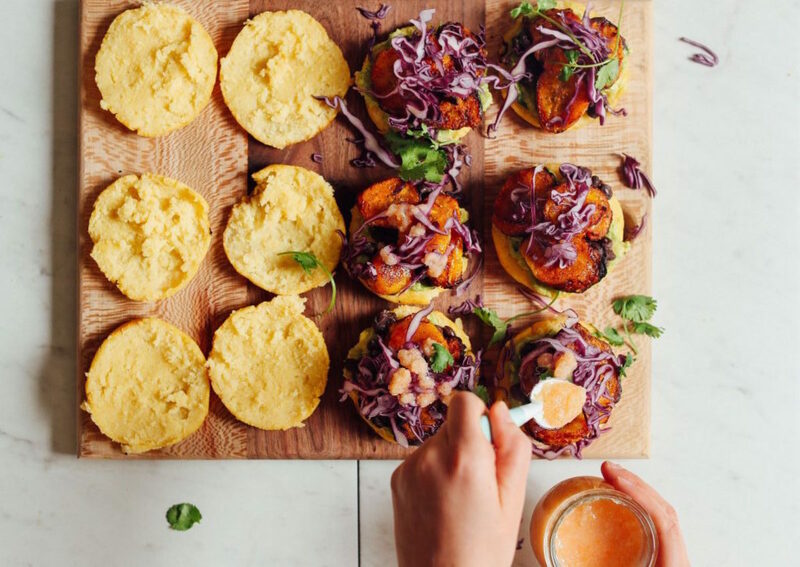 For another internationally-inspired slider alternative, consider these gluten-free, plant-based arepas. The cornmeal arepas are filled with a flavorful combo of spiced black beans, guacamole, and fried plantains. A crunchy, colorful topping of red cabbage and cilantro add flavor and texture. 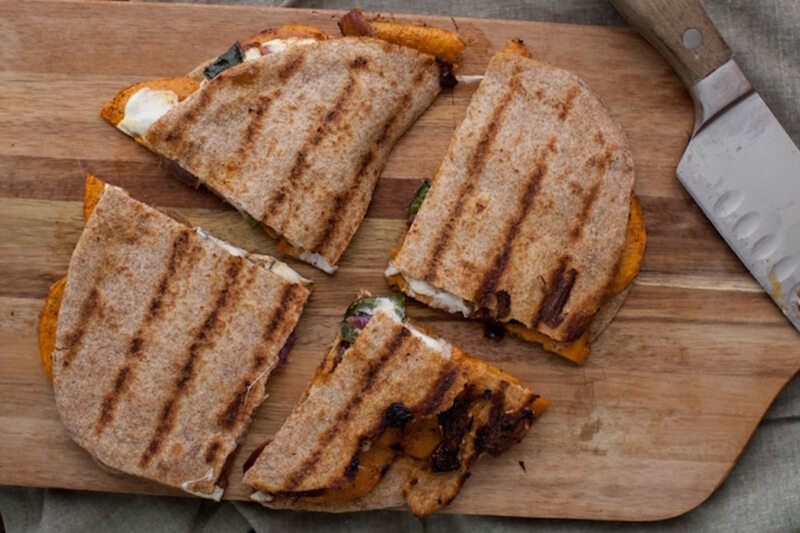 Who doesn&apos;t love a gooey, cheesy quesadilla? 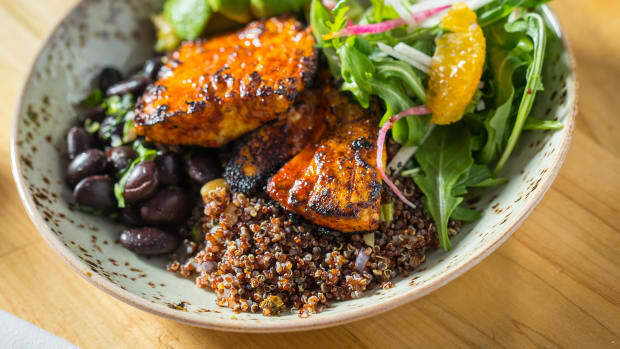 This recipe pairs spiced and roasted sweet potato slices with fresh mozzarella cheese, poblano peppers, cilantro, and lime for a delicious bite that&apos;s perfect to share. 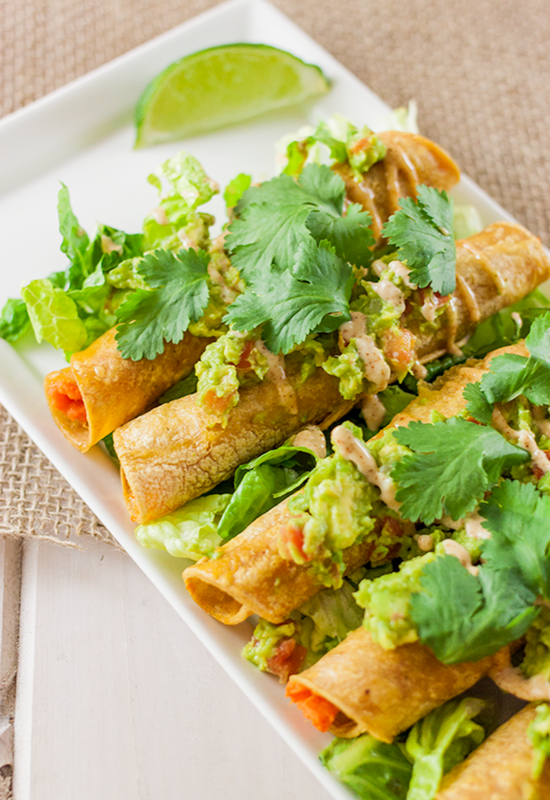 Whether you call them taquitos or flautas, these crispy Mexican specialties are favorite game day finger foods. This version is a bit lighter than most, with a sweet potato filling and a drizzle of vegan mayo spiced with chipotle and a touch of lime. 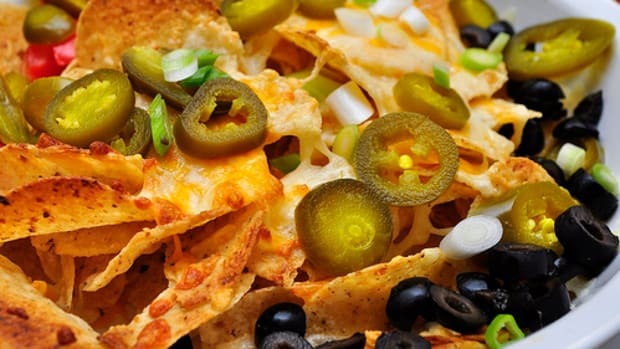 Nachos are one of our favorite game day snacks to share with a crowd. 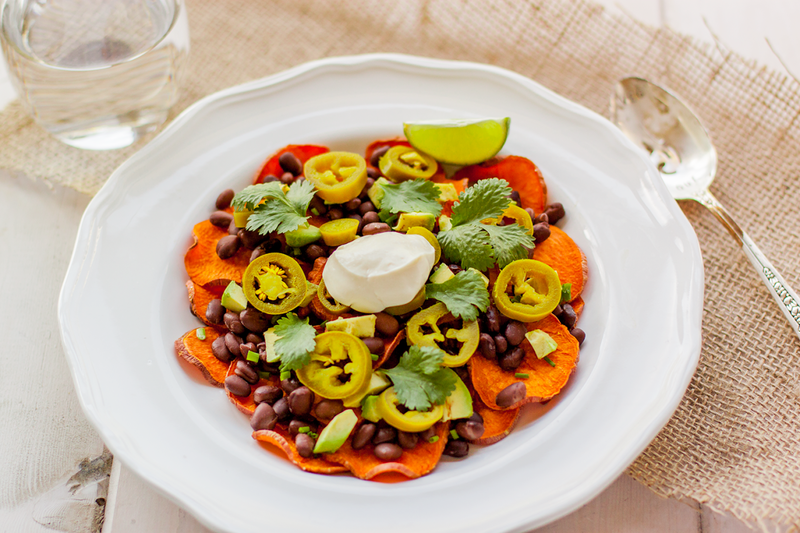 This recipe replaces the tortilla chips with crispy sweet potato rounds, the perfect foil for a black bean and avocado topping. 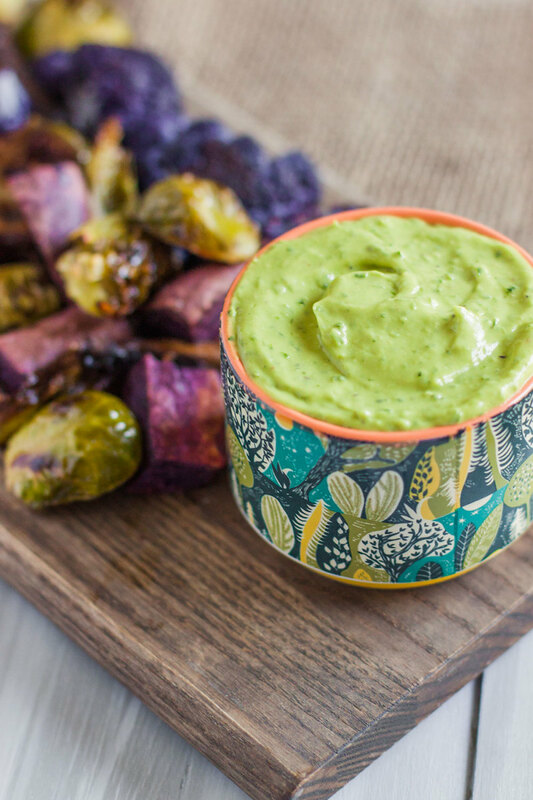 Serving dips on game day is a total no-brainer, and this goddess avocado dip is lighter than most. A simple combo of avocado, herbs, olive oil, and lemon makes this creamy dip the ideal accompaniment for an assortment of colorful roasted winter veggies. 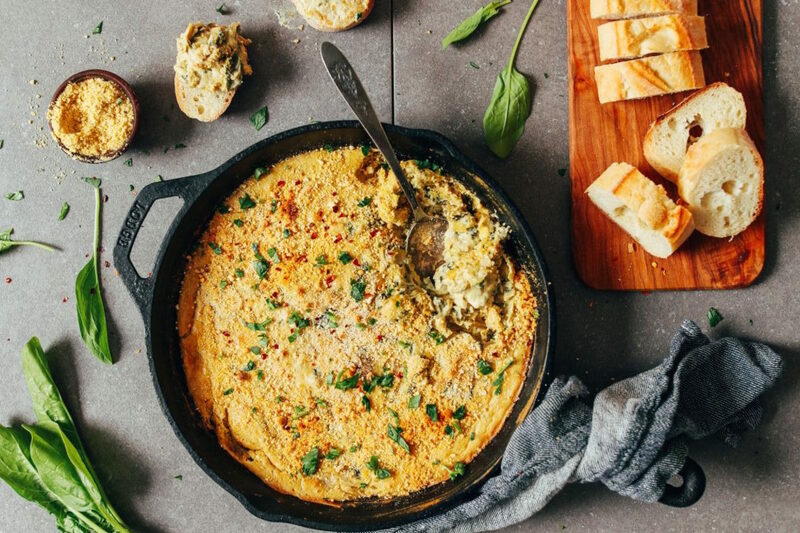 Speaking of dips, is it even game day without spinach and artichoke dip? This plant-based version boasts great flavor and texture thanks to zingy nutritional yeast and creamy puréed cashews. The gluten-free breadcrumb topping adds a great crunch. 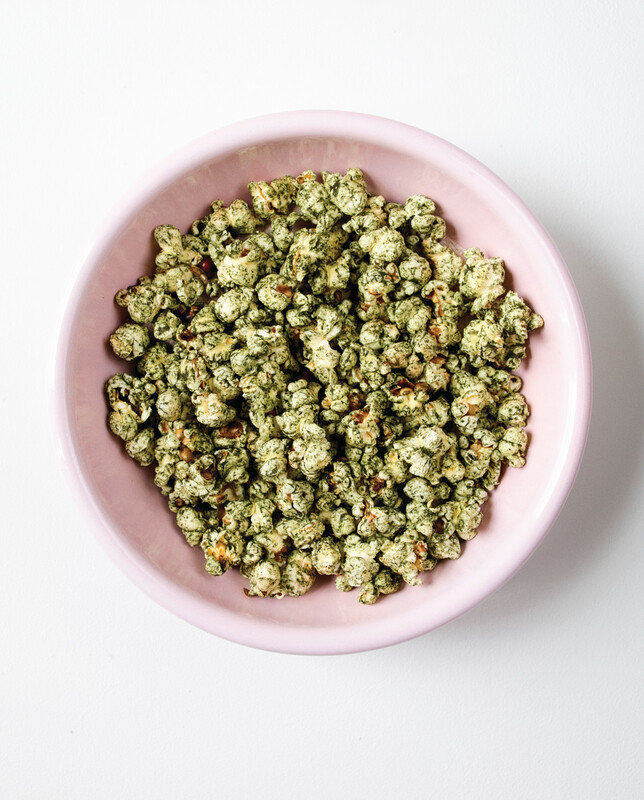 There&apos;s perhaps no better TV snack than popcorn, and this one gets all dolled up with spirulina and adaptogenic reishi mushrooms. 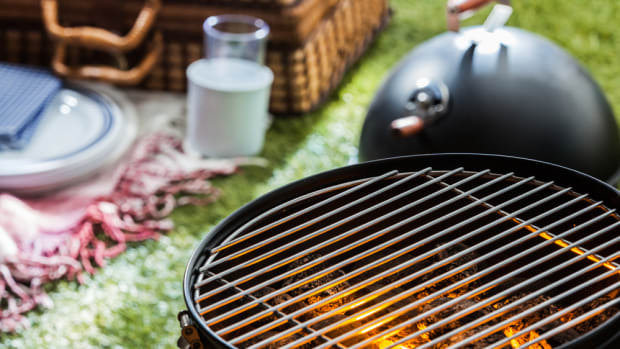 A touch of garlic and cayenne finish off this recipe and help make it as delicious as it is beautiful. 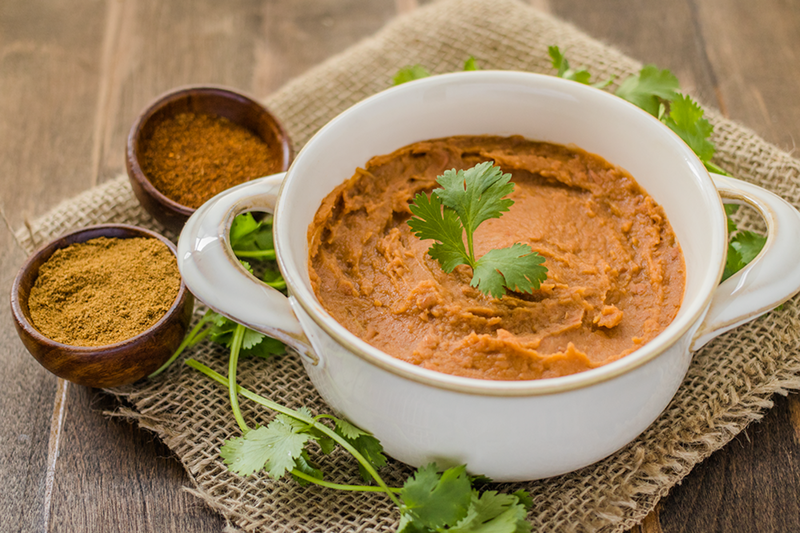 More often than not, refried beans get a lot of their flavor from a heavy-handed dose of lard. 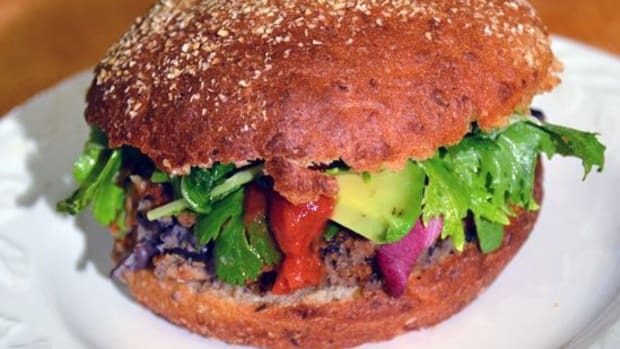 But this plant-based version is a whole lot lighter and just as tasty. Beans are simmered with bay leaves, then refried in a reasonable amount of sunflower oil with onion, hatch chiles, and spices. Serve as a dip with crudités or your favorite non-GMO tortilla chips.